What experiences have you had that allow you to be deeply fulfilled, living passionately and feeling grateful while continually expanding yourself creatively and spiritually? Now that ‘s a mouthful of a question, huh? You’ve likely been taught how to accomplish something, how to be effective or productive; what about being deeply fulfilled? If so, let me suggest this be the last time! I remember when I started asking myself the question, “what is my purpose, my big, brilliant, feminine inspired contribution going to be?” It felt so incredibly overwhelming to me trying to come up with a wow answer for such a monumental question. Afterall, look at Princess Diana, Hilary Clinton, Mother Teresa and Oprah, they all contributed a forever legacy as fabulous, brave, brilliant women living with purpose. Measuring any purpose I could come up seemed so mediocre on the grandiose world-sized measuring stick of theirs. It didn’t get any easier wondering if I had what it took to inspire change as other women have done over and over again. However, I knew that kind of thinking had to stop. I had to stop comparing and allowing myself to stay invisible. I stepped up because I stepped back and took an unattached look at what was really happening inside me and out in the world. I ditched that littleness thinking and decided to get over the comparison, self-sabotaging judgment and living in a self-induced “I don’t know” existence. What I realized is that a purpose does not come from comparing myself to others or from what they’ve done. Nor does it have to be from such a grandiose starting point. You see, what I discovered is – our purpose is already given to us and within us at all times. It’s in our unique gifts. Each and every one of us has a brilliant gift of great significance but often we diminish it or overlook it by our doubt and comparisons. Key questions to ask yourself to uncover your brilliance and the life force of your purpose. What makes you original and special? What have you done in the past that you a very special feeling? What do others tell you that you have a natural talent for? Are you making a list now? Go ahead…write it out…all of it! Could something be calling your forward, in the form of an aggravation or annoyance, based on what you are witnessing around you? Do you ever think, “why doesn’t someone do this?” or “if I were (there), or in charge, I would do (that). Furthermore, it’s the ‘how’ to play out our life purpose that we mostly get hung up on, which is exactly what I was doing. I was getting overwhelmed by trying to figure out my big cause instead of paying attention to what great talents and gifts I embodied. I started stepping out more and sharing myself in ways that energized me instead of feeling drained because of what I thought the requirements of me had to be. When you take hold of your natural abilities – it all comes together. Identifying what you are meant to do with your life (life purpose) isn’t about focusing on doubt or if you can do something as profound as curing cancer. But rather focusing on how you can have an impact on someone in some positive way. That in itself can have a ripple effect that goes on to touch thousands of other people based on the inspiration or joy they got from you. Perhaps you can be the light that shines on another and makes them shine brighter. Even if you never grace the cover of a magazine or give a million dollars to charity, you’re still a person of inspiration and purpose. Your purpose is not as much as the big thing you do ‘out there’ as it is the big thing you do ‘in here,’ inside of you. 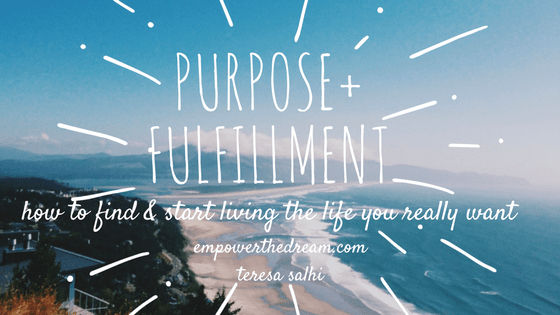 How do you know if you are following your gifts and life purpose? Because you come alive. You have a vibration or internal ‘buzz’ going on. Author Gil Bailie says “what the world needs are people who have come alive!” When you are alive your positive energy is contagious and it creates more aliveness in others. The world knows you’re on a mission. Coming alive is what happens when you live in the now. It’s the precious point of time that only happens once. Whatever sweetness you can add now is worth it. You don’t have to know all the answers. You just have to get started! If you feel you need to find another career that brings out your gifts, then explore where that could be by asking questions. In the meantime, do everything you can to deliver your gifts were you are today. Who knows, maybe the job you have will evolve. It’s quite possible that it has already evolved to where it is now based on your own feelings, actions, and comparisons that it was not your life purpose. Something to think about. I encourage you to embark on a journey of uncovering your gifts and finding a void to where you can use them passionately. One of the best ways toward living an esteemed, rewarding life purpose – one that also esteems and rewards the lives you touch – is living and sharing thru your unique gifts. The time is now, are you ready to share your gifts? This can help (clickable link). 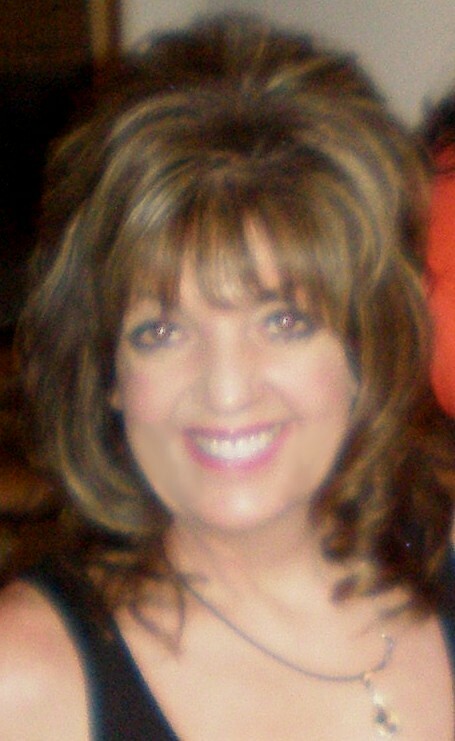 Teresa is an empowerment coach and founder of Empower The Dream, www.EmpowerTheDream.com. Teresa’s coaching style is a combination of professional education and personal life experience that teaches and inspires people from all walks of life. This is done in part by implementing positive changes and eliminating self-defeating behaviors. She is also a law of attraction trainer and public speaker. Teresa spent over 15 years in corporate America managing operational departments, developing successful teams in the US and abroad, handling worldwide data communication projects and nurturing million-dollar client relationships.